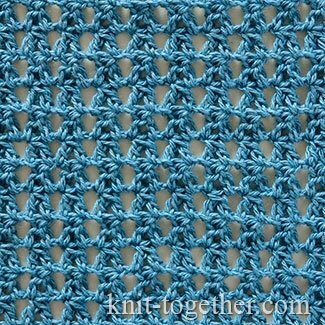 This pattern is made with a Cluster Stitch (two double crochet with common top - dc2tog). 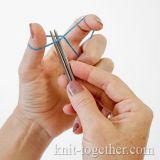 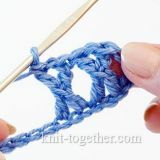 We recommend you to read: How to crochet a Cluster Stitch. 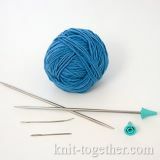 In the description of the pattern we will call them briefly - cluster stitch. 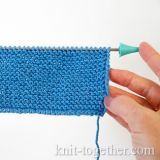 The repeat (rapport) of the pattern is 3 stitches by horizontally and 1 row by vertically. 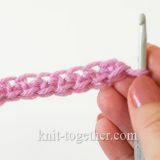 For a swatch make chain stitches a multiple of 3, plus 2 chains. 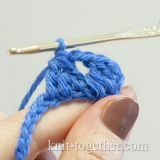 2 row: 3 chains, * the first leg of cluster stitch make in chain of previous row, skip common top of cluster stitch of previous row and in next chain make the second leg of cluster stitch and join both legs in one top, 2 chains *, 1 cluster stitch, 1 chain, 1 double crochet in last chain of previous row. 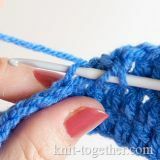 Next rows make same as 2nd row.